Whether or not you’re a project manager, you’ve probably heard of Agile. It’s a framework of behaviors and approaches that encourage “just in time” production that enables project teams to complete projects on time, with higher quality. Agile encourages that a little of everything, including design, development, and testing. Portions of the project are done at the same time—as opposed to the traditional approach to projects, where one phase is closed and completed before the next begins. Agile encourages short, frequent feedback loops and embraces changes to requirements. In traditional project management (sometimes known as Waterfall), feedback is usually not collected until the very end of the project and changes are discouraged. 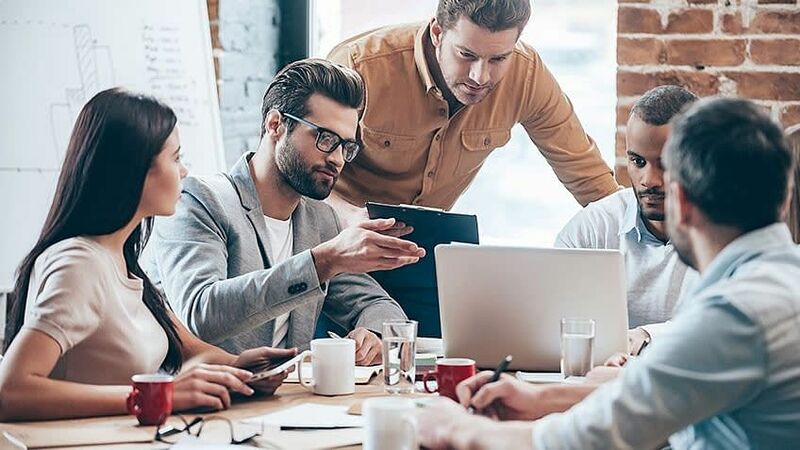 Agile Project Management has been around for decades, yet thousands of companies and managers have difficulties when transitioning from traditional to Agile when managing projects. Some of these troubles can include lack of knowledge and awareness of inexpensive or free tools that can help improve decision-making time. Let’s take a look at five free Agile project management tools that can help project managers go Agile. Created by a French company called Kagilum (KAnban-aGILe-scrUM) SAS in 2011, Icescrum is a free and open source solution for teams of any size. This tool is compatible with Linux, Windows, and Mac—and integrates with a variety of popular apps like Box, Excel, Dropbox, GitHub, Google Drive, Slack, and more. Cost: free download. The cloud version starts at $35 USD per month. Awarded Best Agile Tool 2015 by the Agile awards, and Top 11 PM Tools 2016 by Opensource.com, Taiga offers better functionality than many paid tools, including backlogs, sprints, Kanban boards, and QA, along with the ability to import from Trello, Jira, Asana, and Github. Cost: Public projects are completely free; private projects start at $19 a month. The unique selling point of Scrumpy software is that it allows long-term story views and is completely written in Java. It is specifically designed to help a product owner maintain a meaningful long-term backlog of user stories. Explore our library of Agile and Scrum articles. Happy reading! Hansoft’s fast and intuitive interface, powerful find/report tools, and a host of other features can run different project management methods depending on your project. Hansoft is scalable and configurable since it was inspired by the Project Management Institute (PMI), Scaled Agile Framework (SAFe), and Large Scale SCRUM (LeSS). Its core feature critical for planning and tracking is the backlog, which can be refined by any custom attribute to your deliverables. Cost: Completely free for up to 2 users. It allows unlimited projects and programs. We found that YouTrack has the best reporting feature of any tools on this list. Whether you’re looking for burndown charts, timeline reports, and more—all available on a live dashboard. Newest features include improved, project-based swimlanes, advanced visibility options, and time report improvements. Cost: Free for ten users and 5GB of storage. Paid options are based on the number of users and start at $20 per month. As a project manager, you know that getting everything done on time is a top priority. These Agile tools can help you and your team become more productive and more nimble. Project managers are always in high demand, and an Agile certification validates your knowledge in Agile and Scrum practices. If you’re ready to take your career to the next level, take Simplilearn’s online Agile and Scrum certification training. A certified PMP and PMI-ACP, Aman plays the role of an Agile delivery manager at Simplilearn. He is an experienced professional with over 9 years of experience in eLearning and Instructional Design projects.